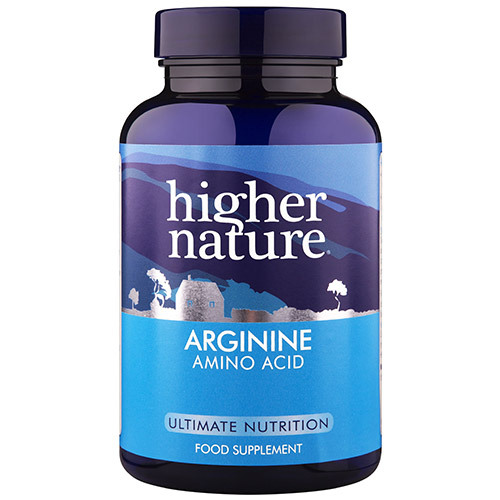 The natural amino acid, Arginine, helps support and maintain healthy blood flow to the heart. Healthy circulation and blood flow are important for a healthy heart. 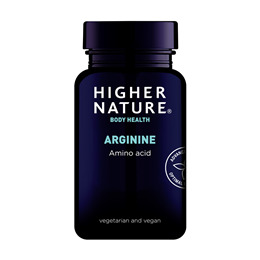 The natural amino acid, Arginine, is a powerful vasodilator and helps support and maintain healthy blood flow to the heart. It is also a precursor to nitric oxide, a key support of many functions, including healthy blood vessel tone, healthy blood pressure and flow. It is also an antioxidant and helps support healthy arteries. No added: sugar, salt, wheat, gluten, maize, corn, yeast, lactose, dairy products, artificial preservatives, colours or flavourings. Arginine HCl, capsule: hypromellose (carrageenan)*; bulking agent: rice bran; high phosphatidyl choline lecithin (from non-GM soya), calcium d-pantothenate, anti-caking agenr: silicon dioxide. Adults: Take 3 capsules each morning and each evening, on an empty stomach, or as your health professional advises. Below are reviews of Arginine - Amino Acid - 120 Capsules by bodykind customers. If you have tried this product we'd love to hear what you think so please leave a review. Healthy circulation and blood flow are important for a healthy heart. The natural amino acid, Arginine, is a powerful vasodilator and helps support and maintain healthy blood flow to the heart.